The Adobe Irons feature a deep cut cavity to move the center of gravity low and farther behind the face to optimize the club heads perimeter weighting producing a very forgiving and playable golf club. The new Adobe irons are designed with the mid to high handicap golfer in mind. The advanced progressive offset configuration of the Adobe iron heads helps correct a fade or slice, the bane of the average golfer. 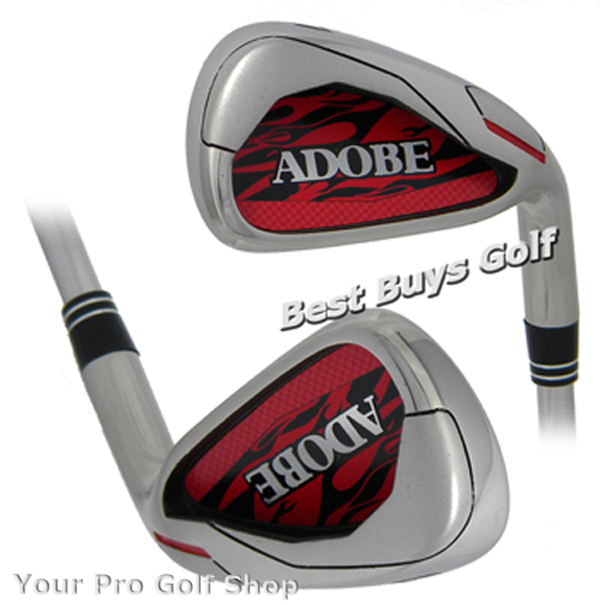 With the enlarged sweet spot, lower center of gravity and the progressive offset design of the Adobe irons they are a great match for the mid to high handicap golfer or a beginner looking for a set of irons that are easy to play.